The RAF. An air force like no other. 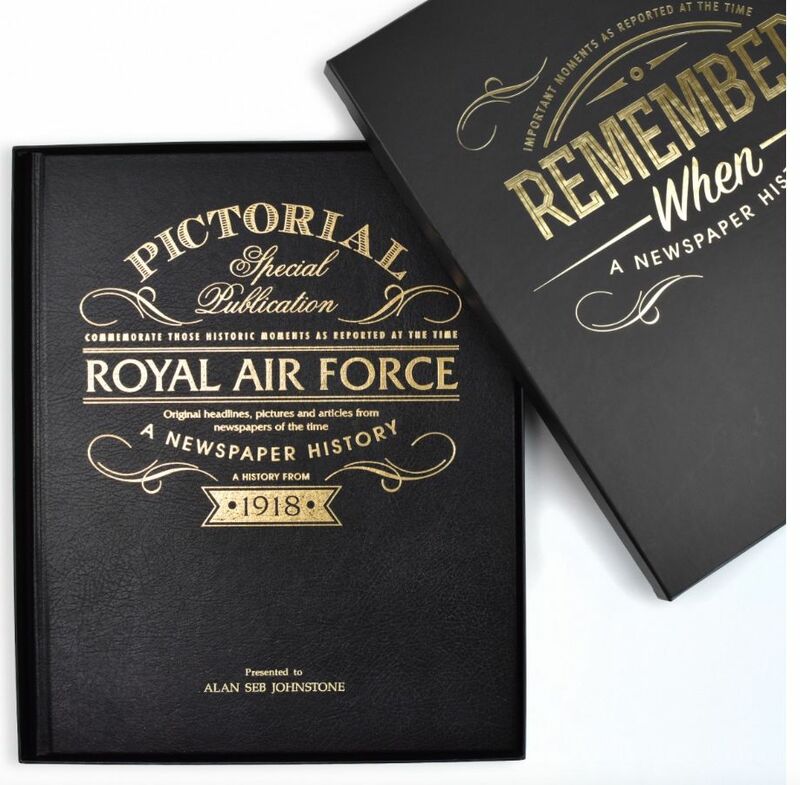 This premium, A3 book opens an incredible window into the 100-year history of the Royal Air Force, using articles and iconic images scanned from original newspapers. 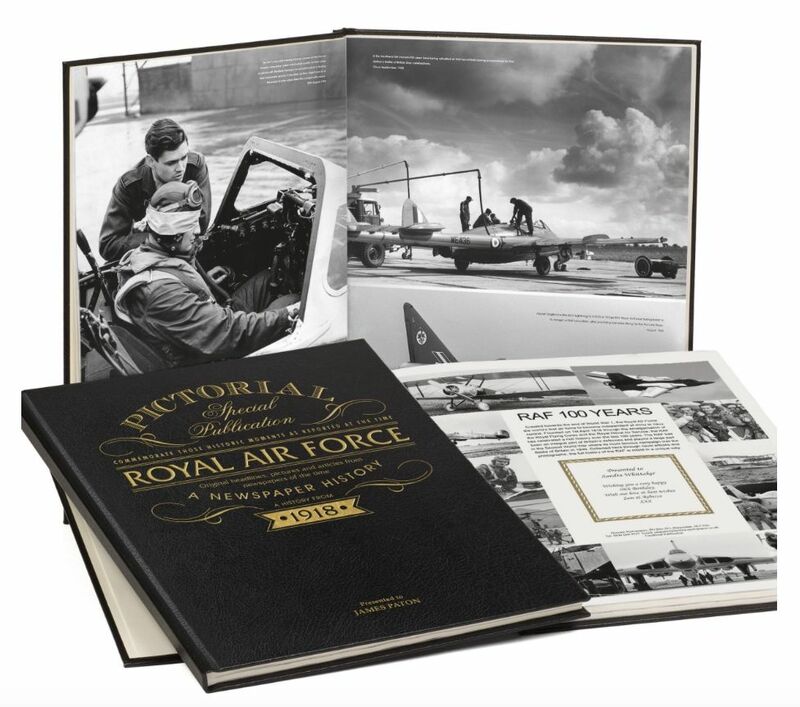 With over 160 pages of coverage, this book sets the bar for documenting the RAF, and is perfect for any aviation enthusiast. Additionally, the front cover of the book is embossed with the recipient’s name. Their name can also appear alongside a personal message on the title page. 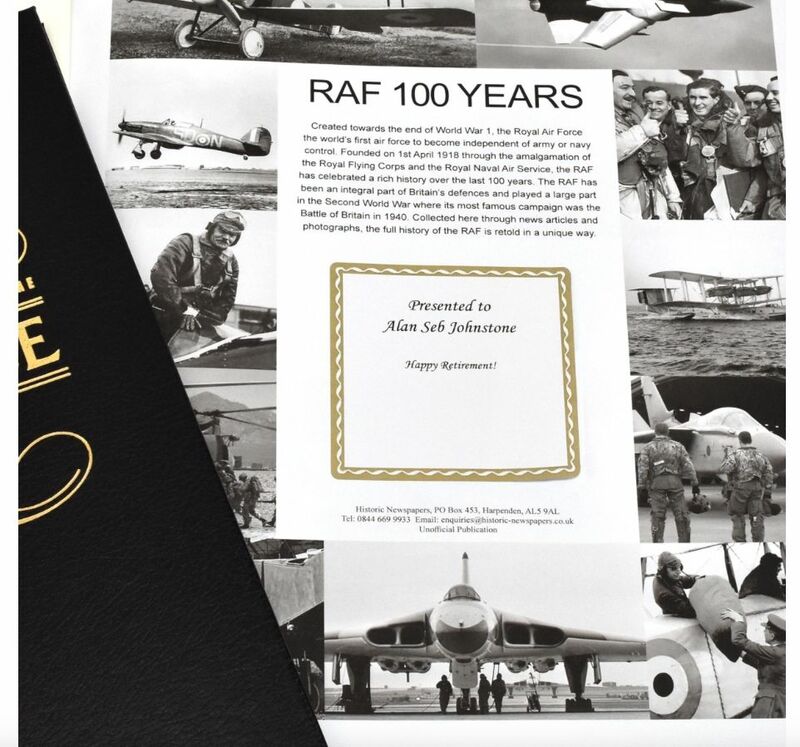 These personalised effects make this book the perfect gift, a historic keepsake celebrating a century of British aviation heroics. 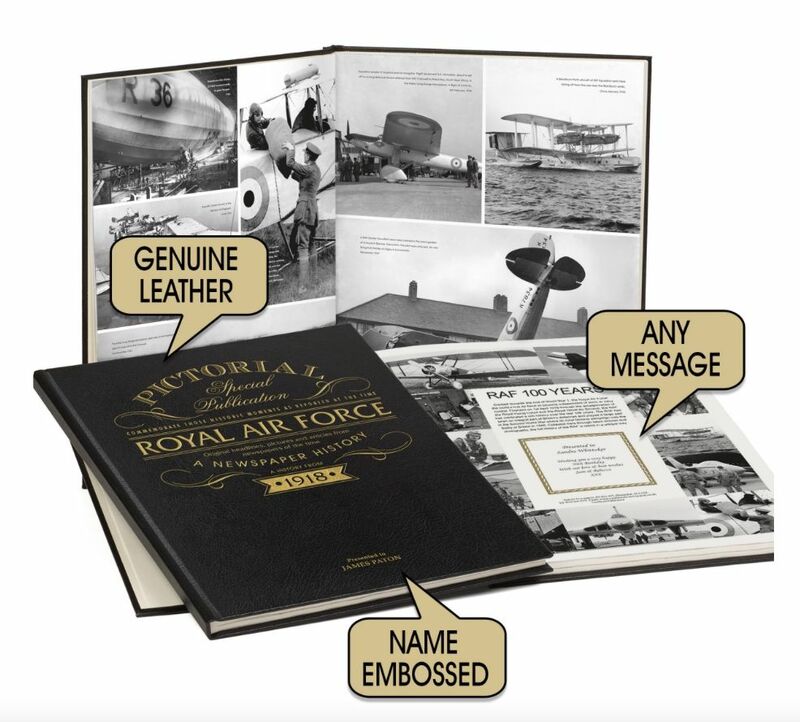 Contents include His Majesty King George V inspecting the newly inaugurated RAF fleet, the famous ‘Vulcan Victory’ during the Falklands War, and the many accounts of heroism during the Battle of Britain in 1940. Each edition of this fantastic book comes presented in a Remember When gift box, included in the price. 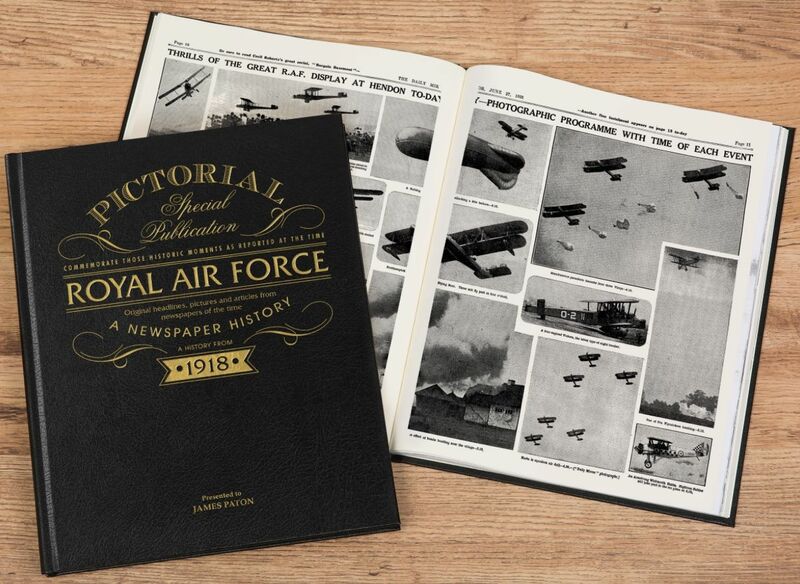 This individually bound hardback book is approximately tabloid size, 38 x 31cm x 1.2cm. This special edition is presented in a stylish black leather cover.